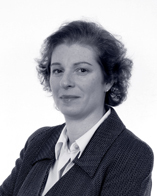 Sylvia joined Gregsons as a trainee solicitor in 1990. Having qualified and worked as an assistant solicitor she was promoted to partner and for many years was head of Gregsons’ busy criminal department. When the Firm gave up their criminal legal aid franchise, Sylvia became a consultant representing private clients. She has extensive experience in licensing, road traffic offences and all aspects of criminal defence work.